Lichfields is a leading planning and development consultancy in the UK. Following a successful rebranding process, Bluegrass worked in collaboration with JWDK to deliver as their technical partner to deliver a new innovative website to reflect the new brand. 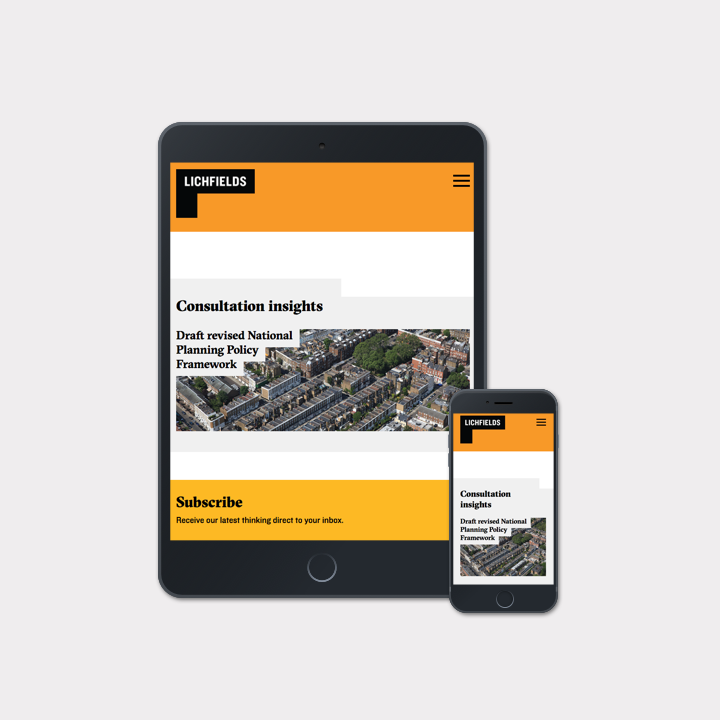 The key objective was to create Lichfields as thought leader in the industry by driving insightful content. This would require a content management system and Umbraco was selected together with its Lucene search engine capabilities to enable us to create powerful search features. A stunning new website was launched in February 2017 showcasing the new Lichfields brand and identity. 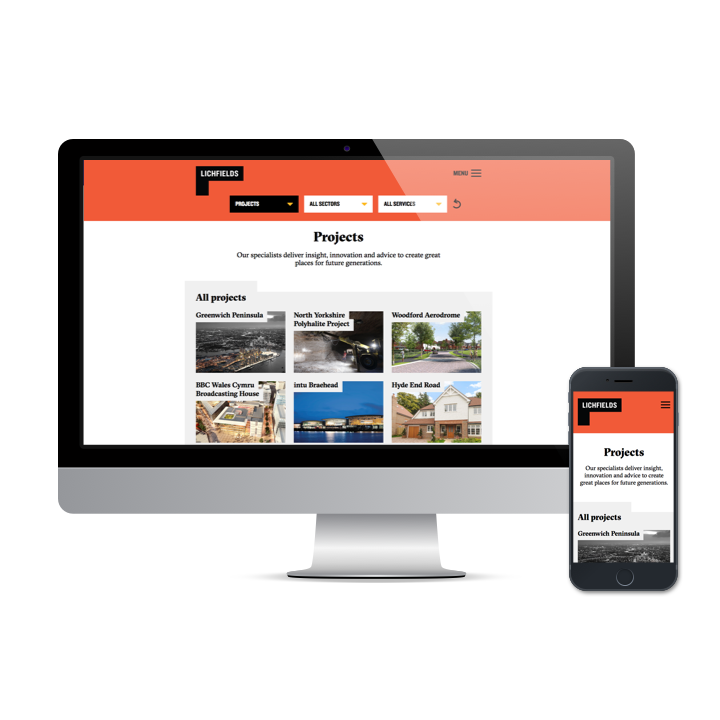 Powered by Umbraco content management system, the website provides a unique user journeys focused around its powerful search features using Umbraco Examine and Lucence.Net. 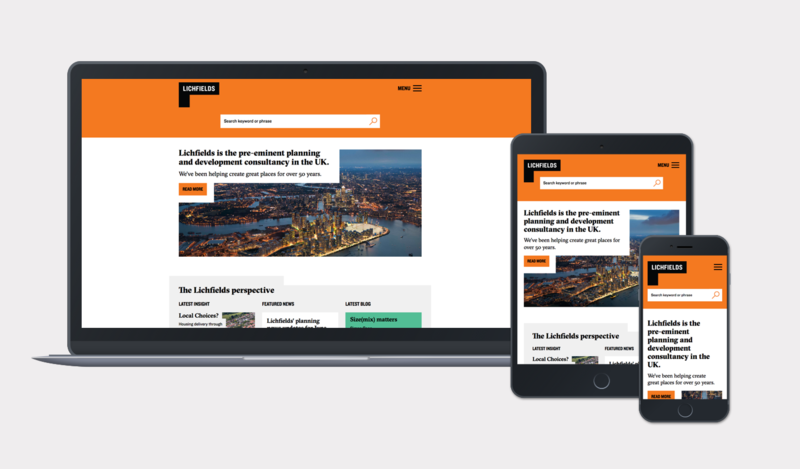 The solution provides Lichfields with full editorial control over the website content as well as site functions. The CMS allows for content tagging and meta data control to provide for enhanced search results.